NPBehave is a lightweight but flexible library for defining your AI's behavior tree from code. 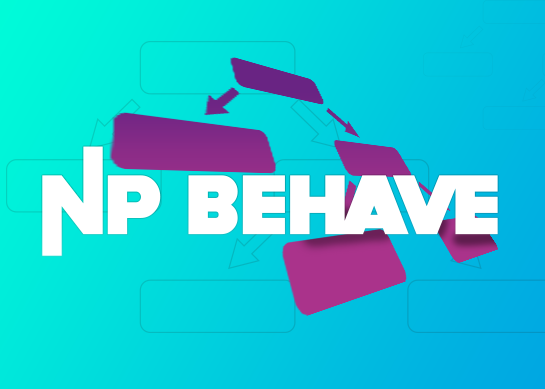 NPBehave is event driven, which makes it very performant and intuitive to use. NPBehave is open source (MIT License). Checkout the README file if you want to learn more. This project is a collection of various tools for working with voxel models in Unity. It currently only supports Magicka Voxel format. A innovative Virtual Reality puzzle game in a 3D hexagonal world, I made in one month together with Florian Rappel for the Gear VR Jam. 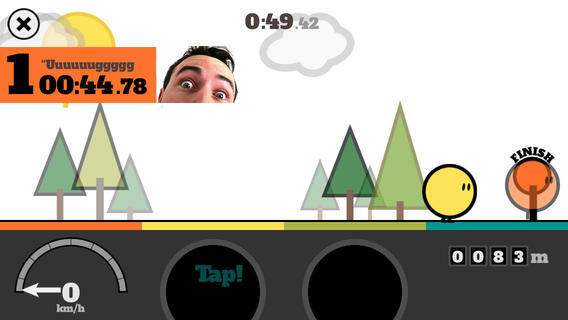 The game is an innovative flying top to bottom game, where you'll never really hit the ground. 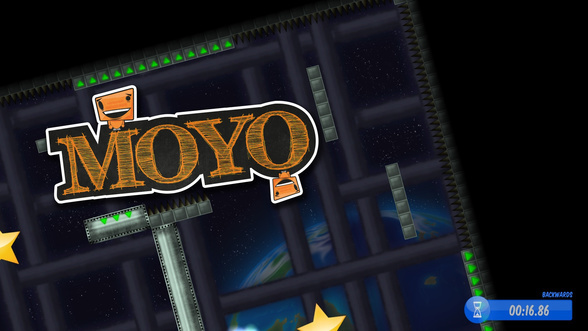 It has many inspirations from classics like Rayman, Donkey Kong or Super Mario. 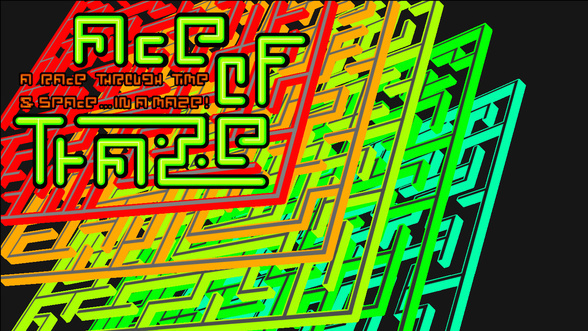 A competitive glitchy local multiplayer maze runner game I made together with Florian Rappel in one month for the Glitch Jam. A gravity changing platforming game I made with a custom engine written on top of AS3/Starling. This was also my first real game and it took over one year to complete. The graphics were made by Daniel Farchmin and the music is from Thomas Zinnbauer. A small game I made in Sprite Kit together with Benjamin Taylor and Thomas Zinnbauer at YMC. It also has multiplayer over network support for up to 4 players. A game made in about 3 days for the Ludum Dare 40, the goal was to create a (graphics) demo for our Unity Voxel Tools. Vitali Maurer provided the art, music and sound effects. I did the programming and UI. We scored graphics Place 117 of 4319. 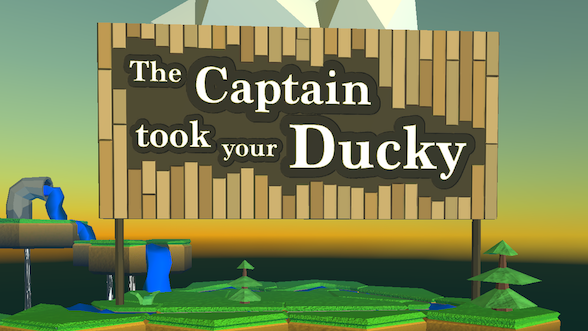 A game made in about 3 days for the GDC Jam. We made this game in a team of 5 people, I was the programmer. Checkout the music by Vitali, it's great. We scored Place 24 out of 122. A game made in about two days for the Community Jam. 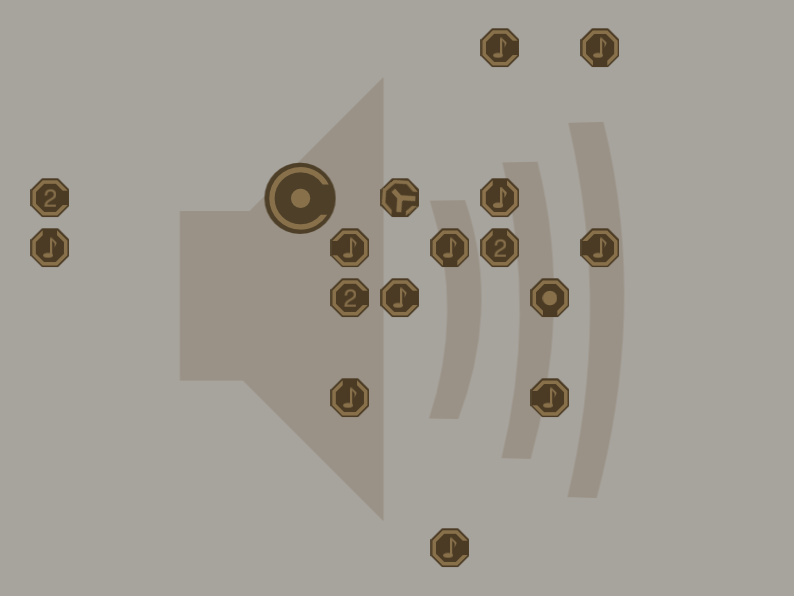 This time I acted as composer and sound designer and programmed only the procedural level generation. Main programming work was done by Vincius Brochetto, graphics were made by Cauã Picetti again. We scored Place 4 out of 19!. A game made in three days for the Indies VS Gamers Gamejam. The music and sound effects were created by Thomas Zinnbauer, Cauã Picetti and Douglas P. Cardoso created the art. We scored Place 10 out of 382!. This game was programmed to refresh some of my C++ skills and get some LUA practice. I made this in one week and stopped working on it because the game turned out pretty boring. Full Description / Source | Windows | OSX Don't play this! 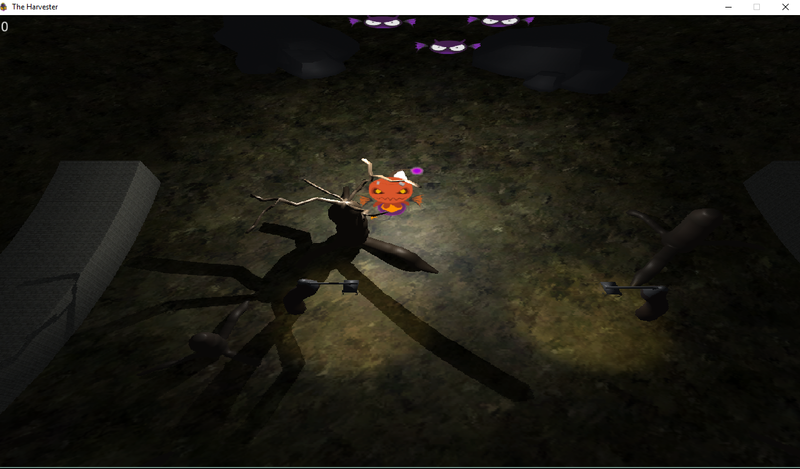 This is a small prototype I made in 7 hours for the 4-hour-game-jam. 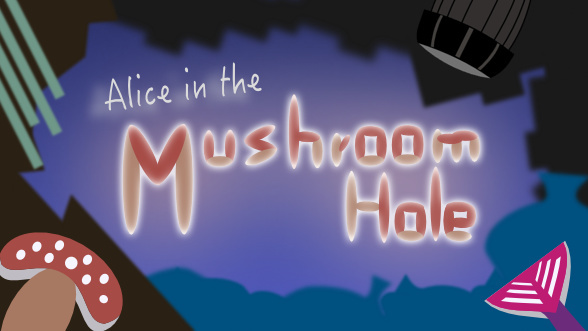 It's basically an experiement to mix the platformer like gamestyle of my game Alice In the Mushroom Hole with some action elements. A musical puzzle game made in 8 hours for the Ludum Dare 31 competition. 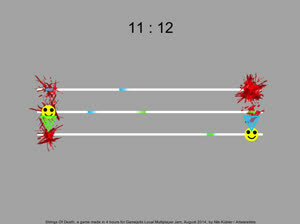 A competitive local multiplayer for two players, shooting each other on the strings of death. This was made in 4 hours for the Local Multiplayer Game Jam. 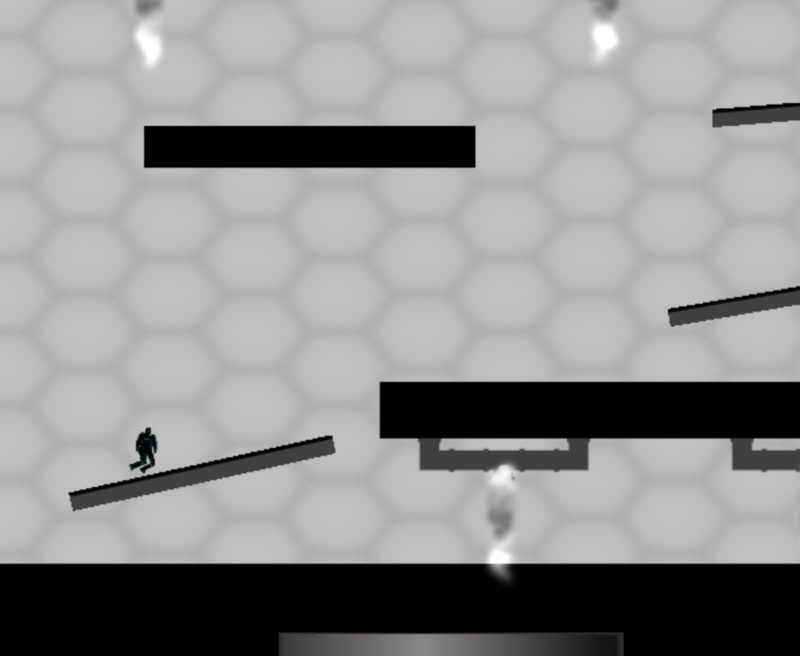 A kind of endless platforming runner with a burning mechanic. I made this in five days for a FGL Game Jam together with Stefan Müller. It is defintly the worst game I ever made. It was my first Unity game and Stefan Müller's first game overall. PC/Linux/Mac/Browser (Gamejolt) Don't play this! 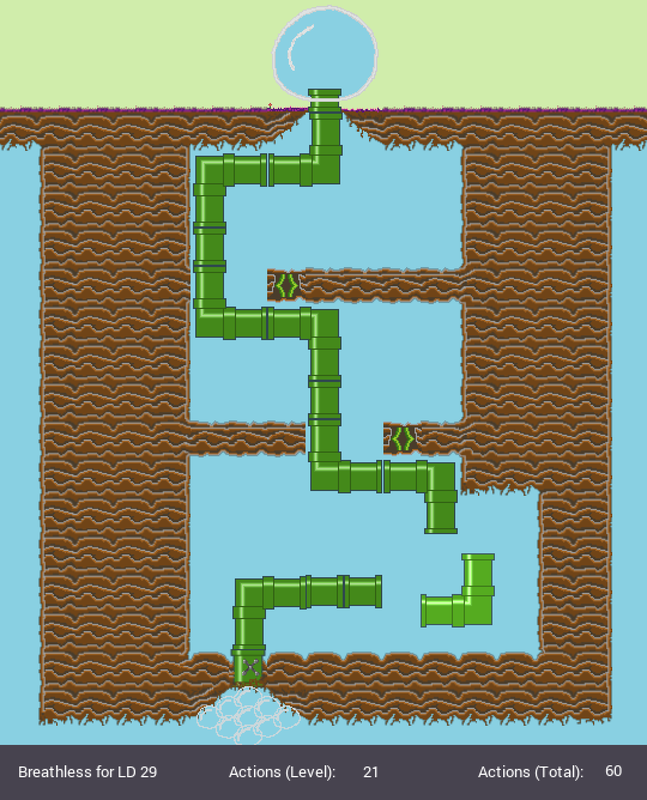 A pipe connecting puzzle game I made in two days for the ludum dare 29 competition. It was my first and only Godot Engine based game. An experiment to create a 3d orthographic puzzle game in a cube, which you can rotate by hitting the spacebar.